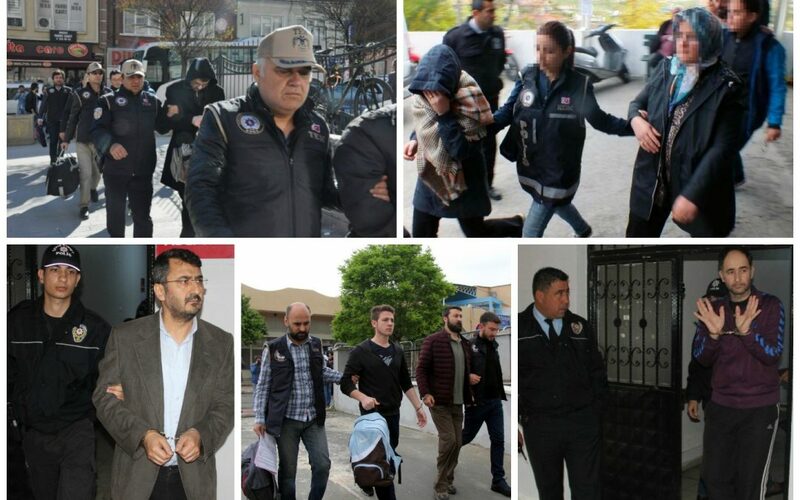 A total of 651 people were detained in operations targeting the Gülen movement over the past week, according to a statement from Turkey’s Interior Ministry on Monday. The detentions and arrests took place between Apr 10-17. Critics often blast the government for imprisoning hundreds of thousands of people over broad terror charges. Turkey experienced a military coup attempt on July 15 that killed over 240 people and wounded more than a thousand others. Immediately after the putsch, the Justice and Development Party (AK Party) government along with President Recep Tayyip Erdoğan pinned the blame on the Gülen movement calling it as a terrorist organization. The movement rejects the accusations. In the meantime, the government has also stepped up its pressure against Kurdish minority in what many say a tactical move to garner nationalist votes in the Apr 16 referendum. A Yes vote in the referendum has paved the way for a shift from the current parliamentary system to executive presidency, giving Erdogan sweeping powers.